Ever since its release in 2003, WordPress has become the premier choice for website builders all across the globe. During earlier times, website building was a task only meant for professionals. As every effect on a website required long lines of coding. 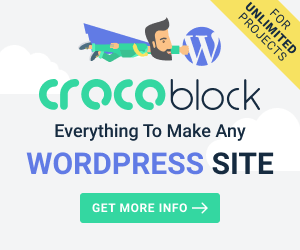 WordPress not only eliminated the requirement of coding by introducing a plugin based interface. But also made website building a walk in the park. All you need to do is install a plugin for the desired effect, without using a single line of coding. With more than 50,000 available plugins, it is indeed a tough task to mention only a few. Nevertheless, here is a list of the best WordPress plugins to add some style to your website. The definitive photo gallery plugin for WordPress, NextGen Gallery is a great way to manage all the images on your website. It is powered by a state of the art engine that allows the users to upload, share, manage, add metadata. Edit thumbnails and arrange images into albums. Apart from these features. It also comes loaded with various display styles that can be used to create slides and thumbnails with ease. The plugin also has a Lightbox feature that is fully customizable. Allowing the user to control various aspects such as timing, transitions, and size etc. It is a proven fact that static images and dull text on the website aren’t going to attract any audiences. Gone is the era when the website builder’s main focus was the quality of the content resulting in a plethora of dismal and static websites. But today, websites need to be a visual treat to maintain the visitors’ interest for a long period of time. The amazing WP Visual Slide Box Builder is an essential plugin. That allows the users to create animated slides anywhere on the page, without typing any code. It comes pre-packed with animations and visuals that provide a fresh feel to your web pages. It also allows to the change the slides that are already in effect and apply the same changes simultaneously to the other slides. The only way to make sure that a visitor remains loyal to your website is by displaying additional content on your website. The WordPress Related Posts plugin allows designers to display the other content on your website at the bottom of the page. You can also use this plugin to automatically create related suggestions on your website. Or you can manually insert links by using a plugin shortcode. Several pieces of research and analytics have proven that the Related Posts plugin can increase the website traffic by almost 10% and also improves your SEO ratings. When you seek to create a high-quality website or blog that attracts a lot of traffic. Spam is something that you certainly do not want. With time, the number of spam posts will increase on your websites, leading to decreased readership and poor website traffic. Akismet was launched in 2005. As a way to protect the website owners and bloggers from the tons of spam posts and bots that are prevalent on the internet. It utilizes a smart filter that takes information from related websites and filters out the spam automatically from your website. You can also mark a user as Spam and the comment will be added to Akismet’s database. The thing that most internet users dread is a website that loads slow. Performance optimization was an excruciatingly tough task and took several hours and coding to achieve. Thanks to modern technology, website optimization can be achieved in minutes through the W3 Total Cache plugin for WordPress. It is the only performance optimization plugin for WordPress and can increase the page load speed drastically. A fast loading website not only provides a better user experience but also makes your website more lively and bustling with visitors. Plugins not only offer a totally coding-free solution for the website builders but can also speed up the website building time. 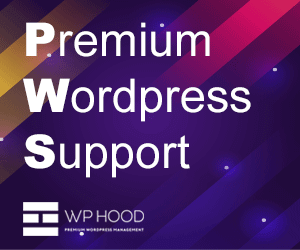 The above-mentioned plugins are just a few of the several that are available for WordPress but are indeed some of the best. Priya is a Technical SEO at Hopinfirst, a leading mobile app development company which provide best ios app development and Android app development services. WP Breaking News is curated news aggregator website focusing on trending and hot news from the WordPress community. Alex Morco on What Is Managed WordPress Hosting and What Are Its Benefits?